Interesting, insightful and heartfelt post by Minh, a HCMC-based blogger at Tech In Asia. 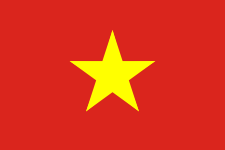 Introduction: I’m a Vietnamese American. I’ve been living in Vietnam for seven years now. And in that time, I’ve only come back to the States a total of four times. Each time was less than a month. In other words, I’ve been living in this country full-time, non-stop. And if you’re a Vietnamese American, old or young, first generation or second generation, I think you should live here too. Conclusion: P.S. On a personal note, living in Vietnam has been one of my most transformative and meaningful periods of my life. Teaching in the countryside to young university students made me so happy sometimes that it made me cry. And there were also some really fun inspiring moments, like when Vietnam was winning soccer games during the regional Tiger Cup and everybody “đi bão”. To see a country shift and change through the eyes of a foreigner is a privilege. Being in close contact with Vietnamese people who have so much hope for their own personal and country’s future is awesome. Follow this link to read everything in between.